The end of the road is finally here after seven months of grueling play across five different patches. 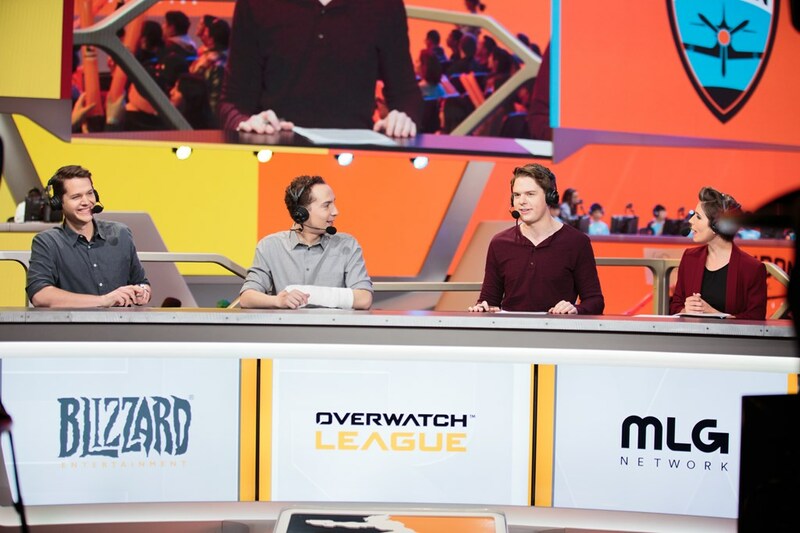 Tonight marks the start of the first of up to three matches to decide the champion of the first ever Overwatch League season. Despite the dominance of the New York Excelsior throughout the regular season, they will not have a chance to be crowned the best team in the world. 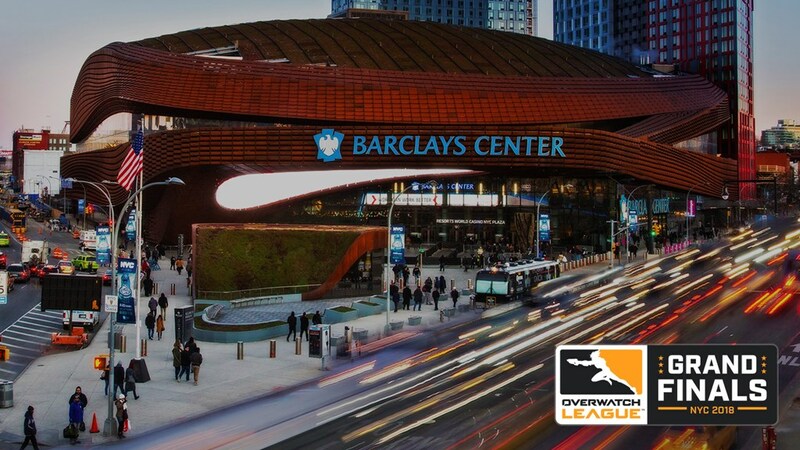 Instead, the Philadelphia Fusion	 Philadelphia Fusion OWL Rank #7 Boombox Isaac Charles flex support Poko Gael Gouzerch off tank Carpe Lee Jae-hyeok (이재혁) dps EQO Josh Corona dps SADO Kim Su-Min (뜨용) tank neptuNo Alberto González support and the London Spitfire	 London Spitfire OWL Rank #4 Bdosin Choi Seung-tae (최승태) flex support Fury Kim Jun-ho (김준호) off tank birdring Kim Ji-hyuk (김지혁) dps Profit Park Joon-yeong (박준영) dps Gesture Hong Jae-hee (홍재희) tank NUS Kim Jong-seok (김종서) support will duel each other on-stage at the Barclays Center in Brooklyn, New York. While it hasn't been smooth sailing for either team to get to this point, defining the grand finalists by their lowest points does not do them justice. Including the stage playoff matches and the semifinals last week, the Excelsior lost 10 matches all season. Five of those were to the Spitfire and the Fusion. 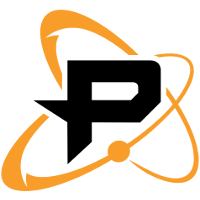 In fact, their first loss of the season was to the Fusion back in Stage 1. 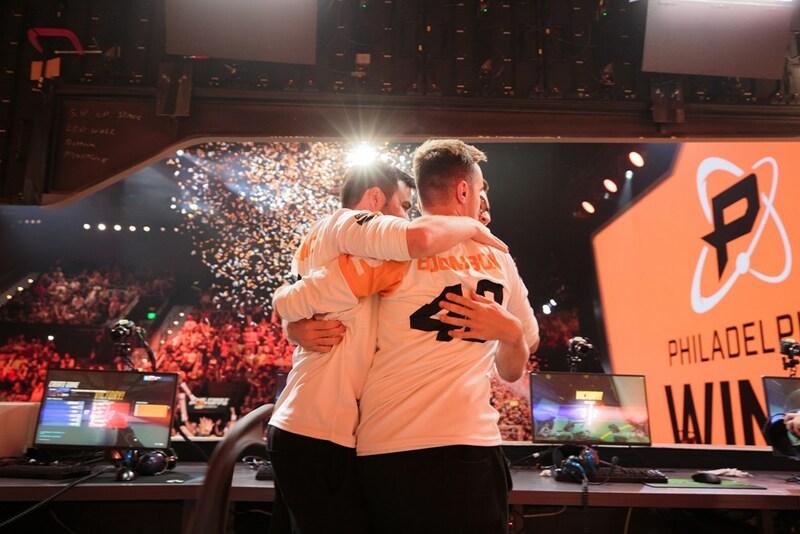 The Fusion and Spitfire have undoubtedly proven their worth and now have the opportunity to immortalize themselves as the first ever Overwatch League champions. Here's how each team got to this point, as well as all the details you need for this weekend's matches. The Philadelphia Fusion may have had the roughest start of the season, as little good news came their way in the preseason. The team was unable to get enough players into Los Angeles to compete, and was the only team to sit out the preseason weekend. On top of that, it was announced SADO would be suspended for 30 regular season matches for boosting, making him ineligible to play until Stage 4. The team's roster entered Stage 1 at a disadvantage given their limited time together, and opened the season with many ups and downs. While the team was the first to defeat the Excelsior as noted previously, they were also swept three times in the opening stage, ending with a 6-4 record. Despite their winning record, they ended Stage 1 outside of the playoff picture in seventh place. The Fusion had their best stage in Stage 2, where they went 7-3 and lost in the stage finals to the Excelsior. In order to get there, the team defeated the Spitfire in the semifinals. The stage saw the debuts of EQO and snillo, unleashing the team's DPS rotation to its fullest potential. The second half of the season was less impressive for the team from Philly. Stage 3 saw the Fusion at their weakest state as they went 5-5. EQO and snillo fully took over as the main DPS to play alongside the team's MVP candidate, Carpe. In Stage 4, the team did just enough to secure its place in the final playoffs, finishing 6-4 to end the season 24-16. SADO finally made his debut, opening up playing time for fellow Korean HOTBA. Once the playoffs hit, the Fusion began to find their form. They began rotating their offtanks between Poko and HOTBA while keeping their DPS rotation static. The team beat the Boston Uprising two sets to one to advance to the semifinals, where they swept the New York Excelsior two to zero. Philadelphia will be looking to ride that momentum into the grand finals. 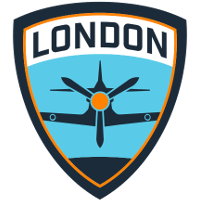 On the other hand, the London Spitfire started the season off with a hot streak. The team had a fantastic Stage 1, going 7-3 and triumphing over the New York Excelsior in the stage finals. All 12 players on the roster received playing time during the stage, although some less so than others. Among those who received less playing time were Rascal and Fissure, who were each traded away to teams they could get more playing time on. The team added Tizi as an 11th, but failed to sign another to fill the roster back to 12. The Spitfire improved their record from Stage 1, going 8-2 in Stage 2. However, they lost to the Fusion in the stage semifinals and failed to repeat as stage champions. Still, their record was good enough to place them second in the overall standings halfway through the season. 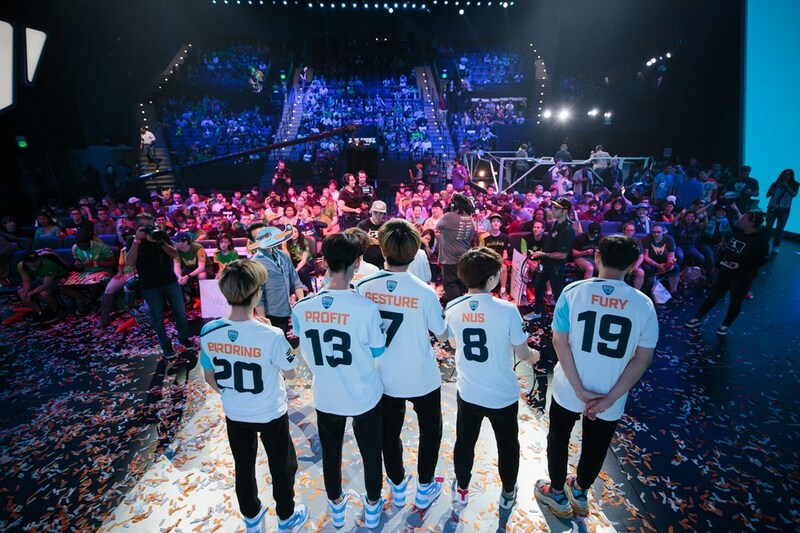 After a 15-5 first half of the season, the Spitfire began to falter in the second half. The team only went 5-5 in Stage 3, doubling their loss total in a single stage. While birdring started the stage with the team, he would sit out the final seven matches of the stage with a wrist injury. In total, 10 players on the roster would get to play during that stage, the only one not playing being Tizi. While they had a bad Stage 3, the Spitfire's Stage 4 showing was even worse. The team went 4-6 in the stage to finish with a 24-16 record, dropping them to fifth in the standings after being second halfway through the season. Near the beginning of the stage, four players from the Spitfire bench were set to inactive and sent home. They were released at the end of the season. Their start to the playoffs was not promising, being shutout 3-0 in their first match against the Los Angeles Gladiators. However, the team rebounded and found their groove, sweeping the remaining two sets with the Gladiators to advance to the semifinals. 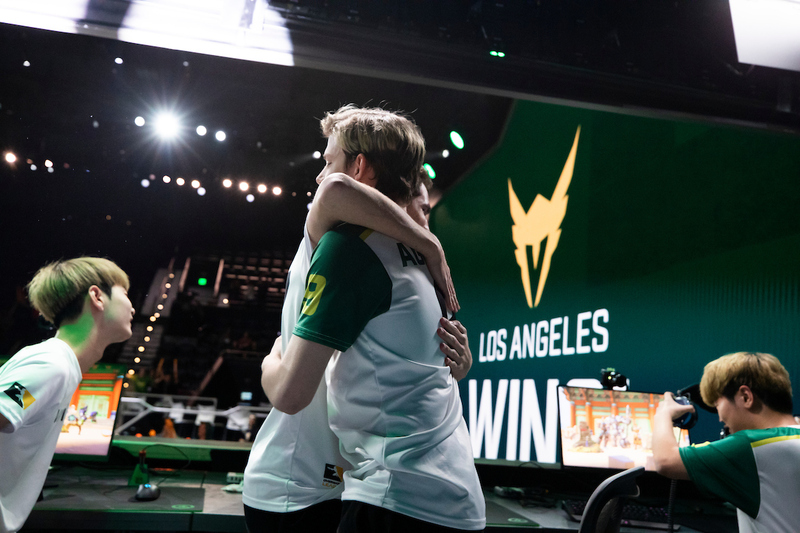 The Los Angeles Valiant would only manage to take one map off of them in two sets, as the Spitfire replicated the dominance they had shown in Stage 1. 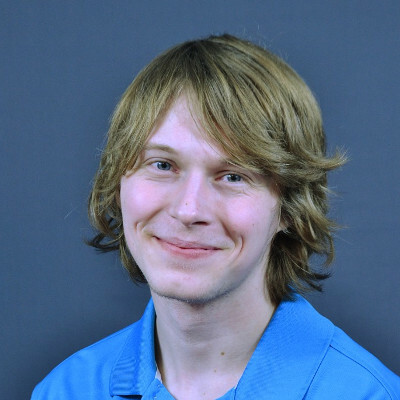 I believe Bren got 2/5 (Both London winning series in each round) and Sideshow 0/5. Where as Crumbz and Reinforce got 1/5 each (Believe they were right about Philly winning 2nd NYXL match).